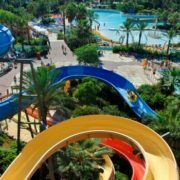 Looking for a great water park to visit when on holiday in Europe? Check out our list of 5 of the best Waterparks in Europe. Click to read now! A leading UK-based independent online travel agent published information on some of their most absurd and funniest customer complaints. Check out our list of what was considered to be the top ten.